In France this summer I learned many things about the FC. For example; he’s not afraid of heights, he has his mother’s eyes, and he sometimes disappears without telling me where he’s going. I also found out that, when he was little, his friends used to call him The Little Prince, because of his blonde curly hair and prince-like willfulness. But I think it’s more than that. Like the character in Antoine de Saint Exupery’s classic book, when it comes to love, the FC sees with his heart, unlike me, who sees too much with my mind. "One sees clearly only with the heart. Anything essential is invisible to the eyes." Antoine de Saint Exupery. I think it might be time for me to re-read the book. In French! This entry was posted on Sunday, October 4th, 2009 at 3:45 pm	and is filed under Uncategorized. You can follow any responses to this entry through the RSS 2.0 feed. You can leave a response, or trackback from your own site. Yesterday the FC showed me a school picture yesterday and he was very Little Prince-like; so small, and his hair was white blonde. As for his petulance when he doesn’t get his own way? I can be the same way, so I think we cancel each other out. Either way, what drew me to the FC was his sense of entitlement, he felt he deserved certain things, and I respected that. 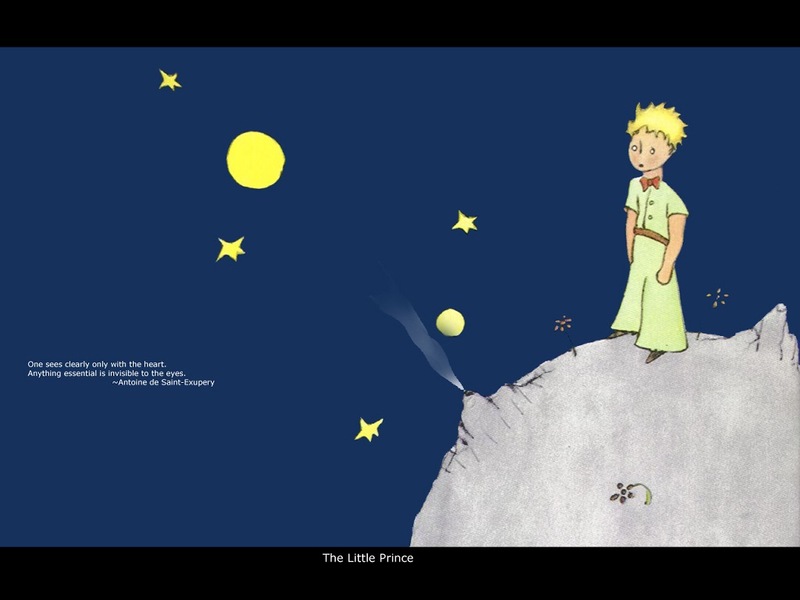 He’s most definitely The Little Prince to me.